Much loved local chef Daniel Wilson (of Huxtaburger) and Kevin Chung are the now behind the menus at the Crown's own flash diner, the Merrywell. 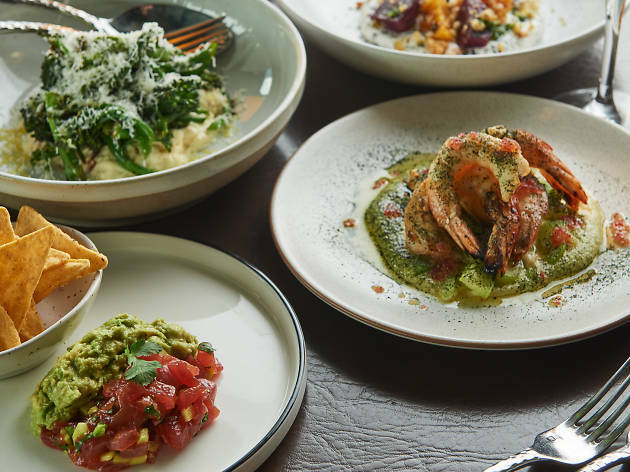 The old Americana menu has made way for a share-focused menu, which takes cues from right across the globe. 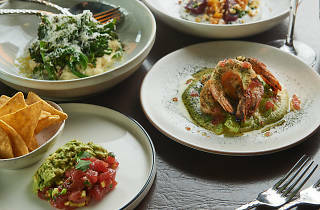 Get a group together and order a spread of Mexican tuna tartare with tequila guacamole and cucumber; wood grilled local king prawns with macadamia hummus; and charred broccolini with stracchiatella, balsamic and truffled pecorino. As always the Merrywell still boasts panoramic views of the glowing Melbourne CBD. If you're still after burgers, head to the Merrywell's devoted burger bar where you can order up 100 per cent grass-fed beef patties from noon everyday.